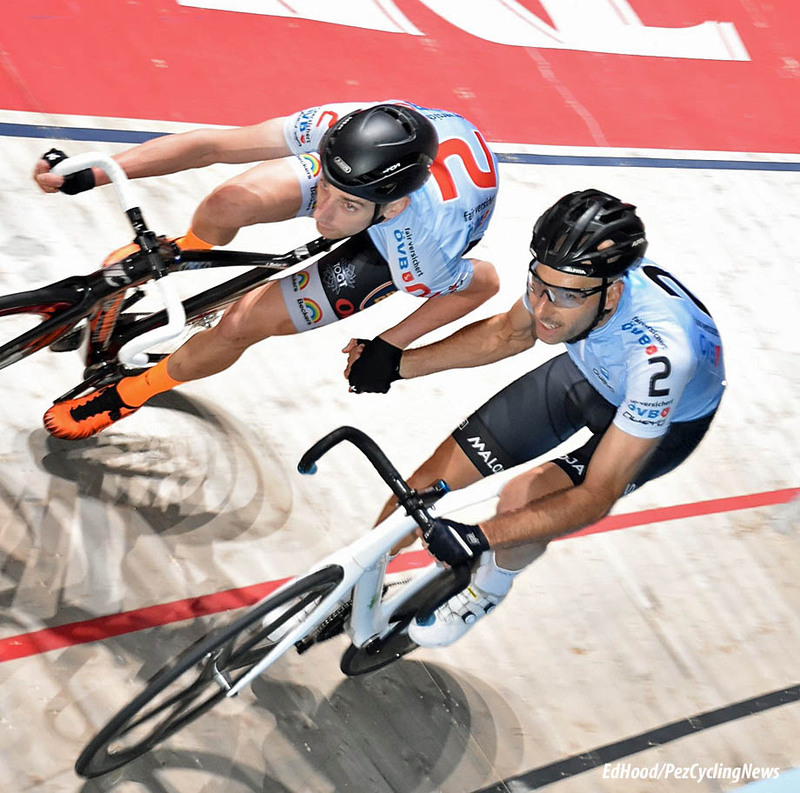 Trackside Ed: The '6 Days' are not just some shiny clad fast-men spinning in continual circles for the entertainment of over fed and drunk spectators, there's a hive of activity 'below stairs'. 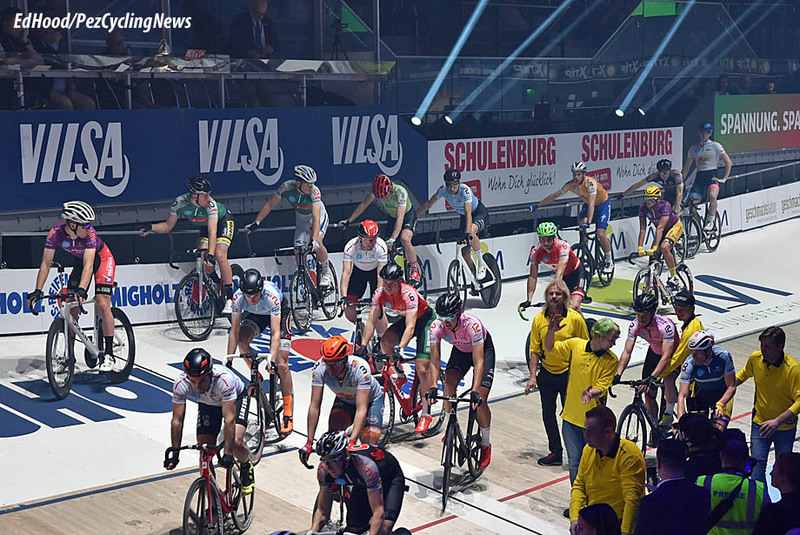 Our man on the inside - Ed Hood is in Bremen and takes us behind the boards to see the soft underbelly of the event. Ed also affords us one of his famous rants on 'the good old days'. We left off from the first three days HERE, Ed takes up the story of the final days of the Bremen '6 Days'. 'Easy like Sunday morning?' “Nae, nae, nae!” as they say in Belgium. Bed was well past 02:00 am with racing starting again at 11:00 am - crazy. 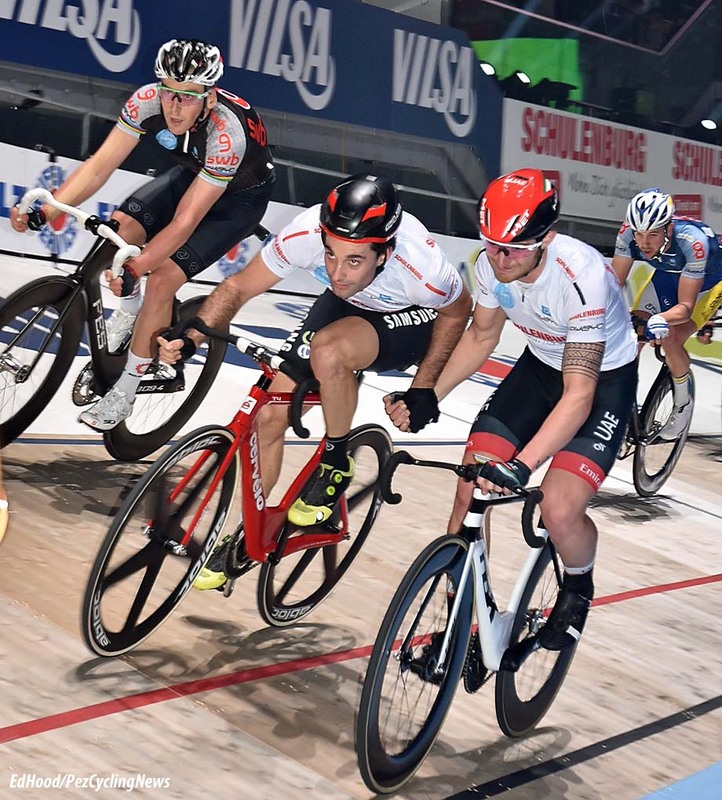 The young Danish number seven Oliver Wulff wins the devil; his dad is looking after him and they share a cuddle before every race. Call me 'old school' but I think it's cool. 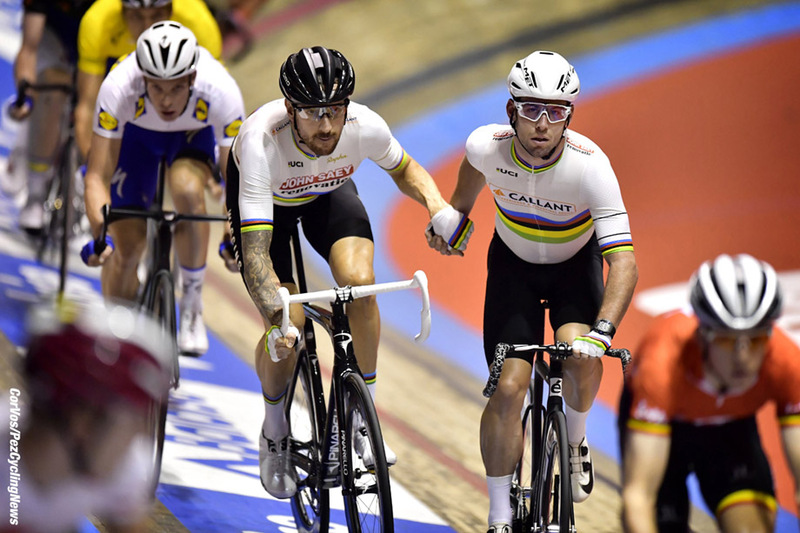 'Stand up for the Champions', the song that must have made Right Said Fred millionaires booms out for the presentations for the ladies' madison. I missed that one, it was run off before our programme began; and I’m told Kirsten didn’t win – wow! The chase - not 'full gas' but not potato either with teams bleeding a couple of laps as Marguet/Consonni take the flowers. The sprinters get Queen; and Tony Christie, sounds like one of my old 70’s ‘mix tapes’ – Levy wins. Derny one goes to Jesper Mørkøv and Derny two to Marguet/Consonni – they’re earning their contracts today. 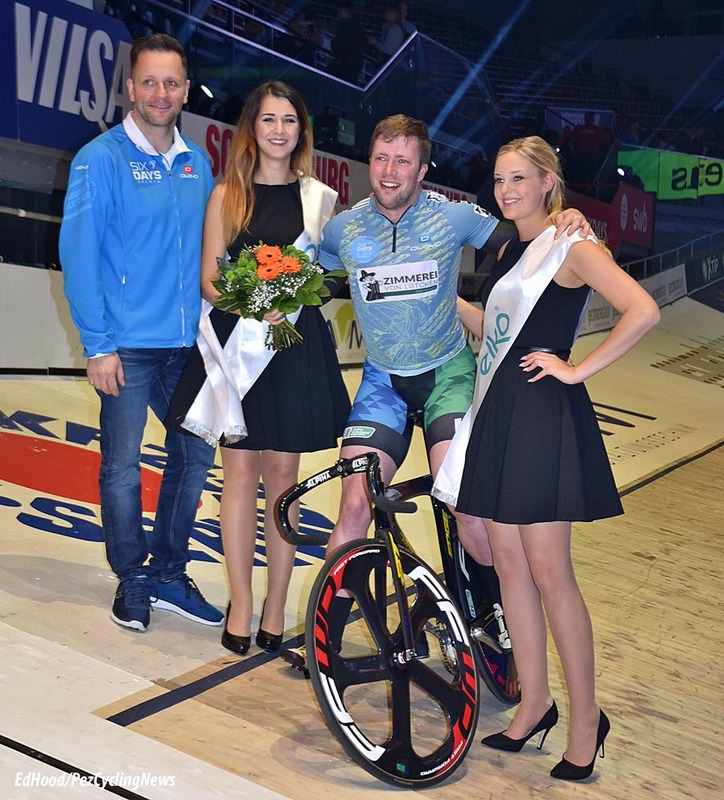 I couldn’t face the nonsense of La-Ola but was cheered by that man Mitchell winning the keirin – again. The Pussycat Dolls, ‘Dontcha’ is always a good Madison tune with Jesper Mørkøv and Christian Grasmann taking the honours. 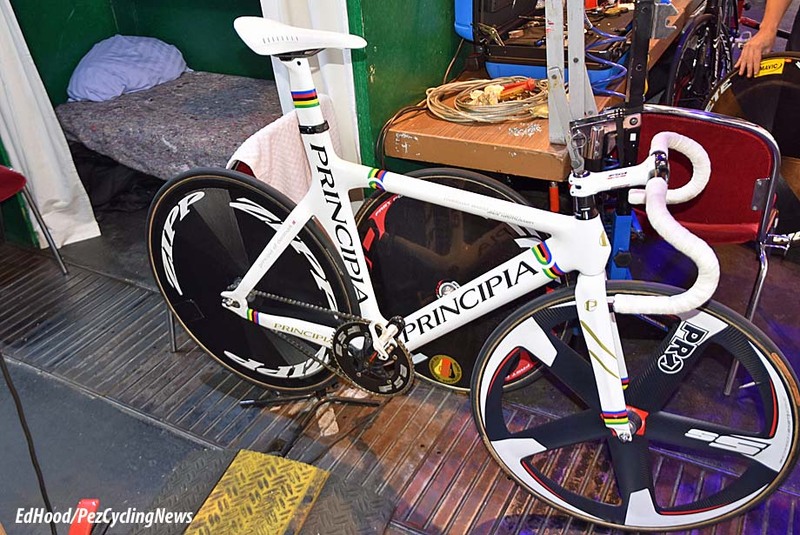 Time for the 500 metre TT and the early times reflect the vibe in the cabins – tired. Our man Max’s partner, the young Dane, Wulff is well keen to win it, dons the POC aero hat and they go top, over hauling de Pauw/Stroetinga. 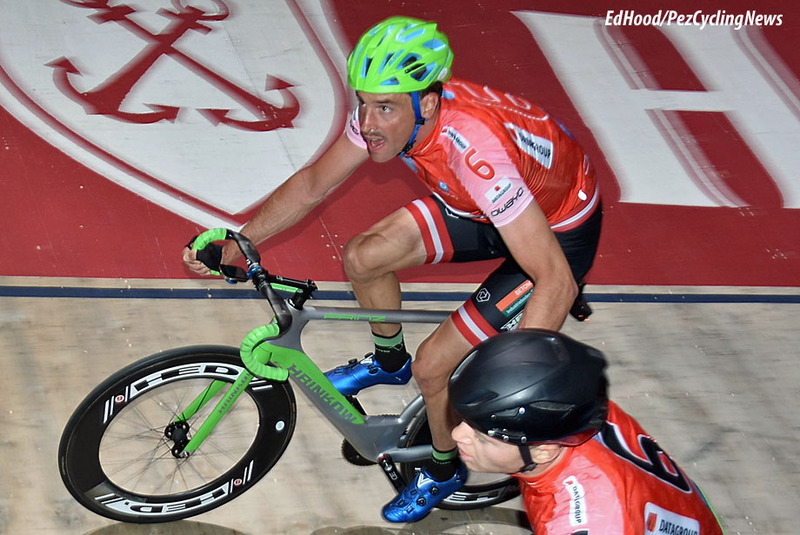 Just Marguet/Consonni to come and the Italian’s big World Tour finish kick spoils team number seven’s dream. Iljo wins the closing devil and we can all stumble back to the cabins – some to shower and head for a party and the sadder ones to tap laptop keys. . . I love my window in the cabin, but sometimes it’s better not to see the snowstorm raging outside. . . There were polemics after the first chase tonight – which Reinhardt/Hester won, they may well be at the top of the pile tomorrow night? 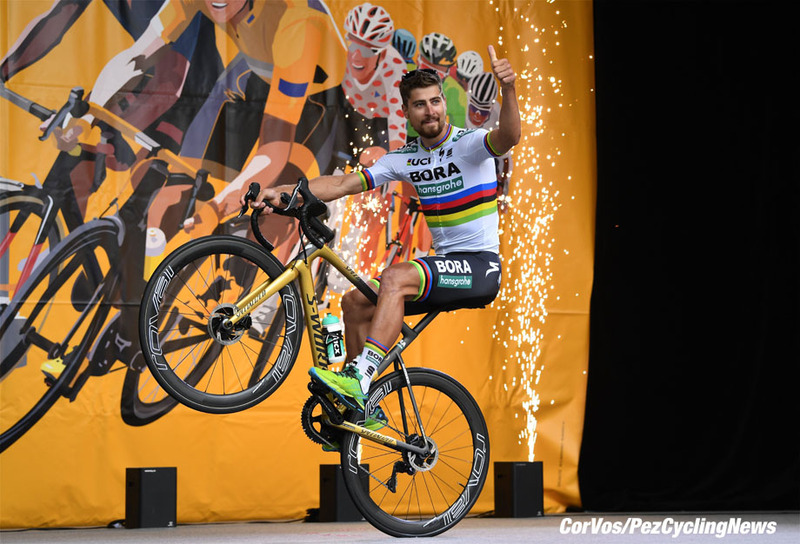 – but some of today’s riders don’t have the political skills of a Bruno Risi, the ‘Capo’ of old, and should remember that no one likes to be lectured. It was a funny old night, as if everyone was still a little ‘flat’ from their early Sunday finish and just wanting for it to be Tuesday so it can be sorted out and everyone can go home. 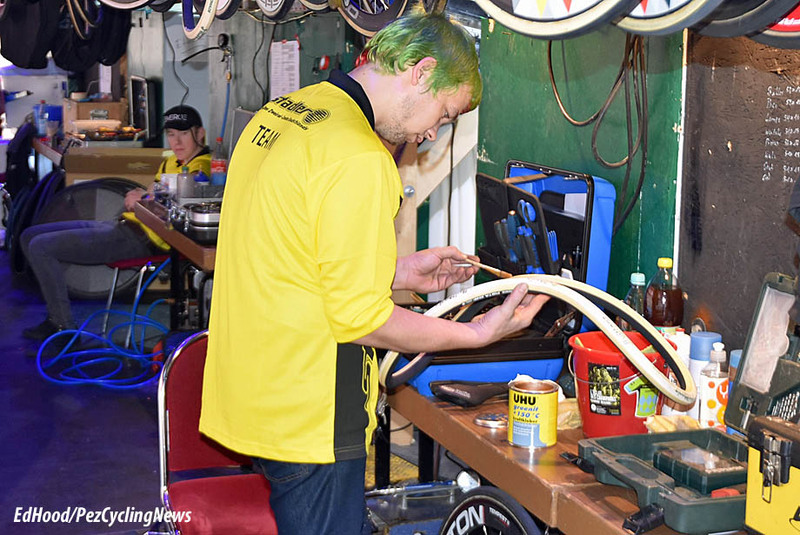 My old amigo, Dirk the mechanic isn’t here for this six, he’s now on road duty with his Trek team as the new season looms. 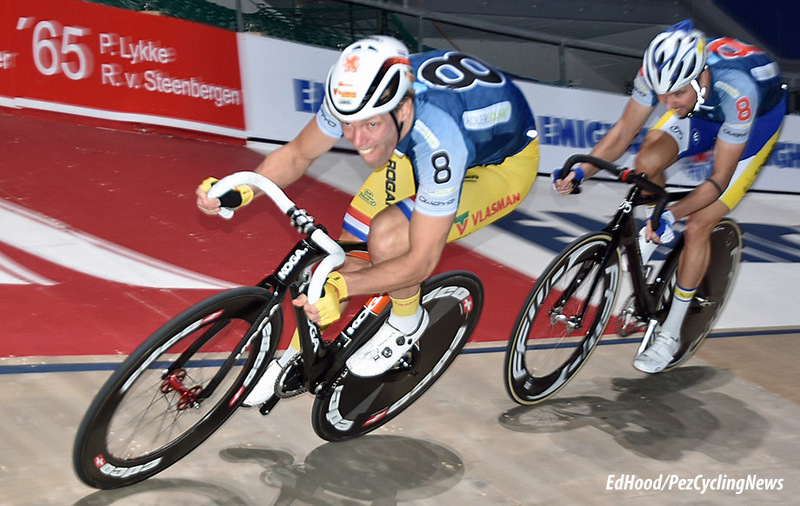 I miss his tech chat but we did get a good old talk or two in Rotterdam so rather than the, the usual ‘who won what’ on an uninspired night, let’s have a look at the six day hardware scene. 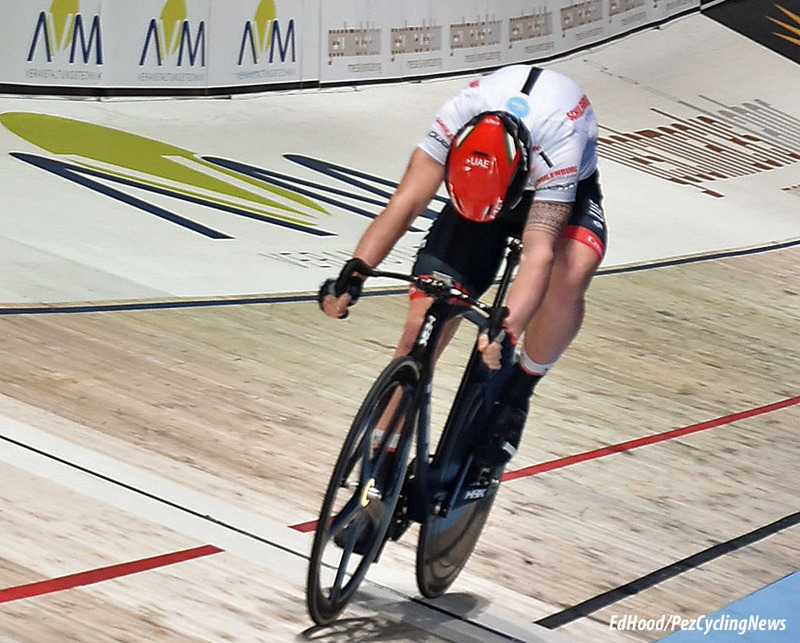 Last year in Rotterdam, French track specialist, Benjamin Thomas was riding a nice experimental aluminium machine - but no metal tubes to be seen anywhere this year – it’s 100% carbon at Rotterdam and Bremen. And British decaled frames everywhere, who would have thought it? 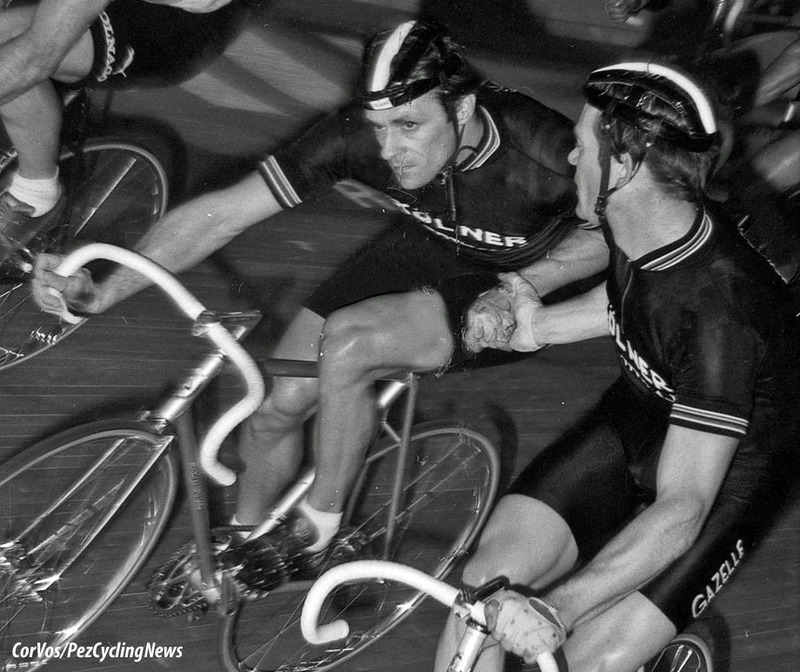 Liverpudlian Terry Dolan was Olympic and World Champion Chris Boardman’s builder of choice for many years. Some, like Marc Hester wear their Dolan decals with pride. 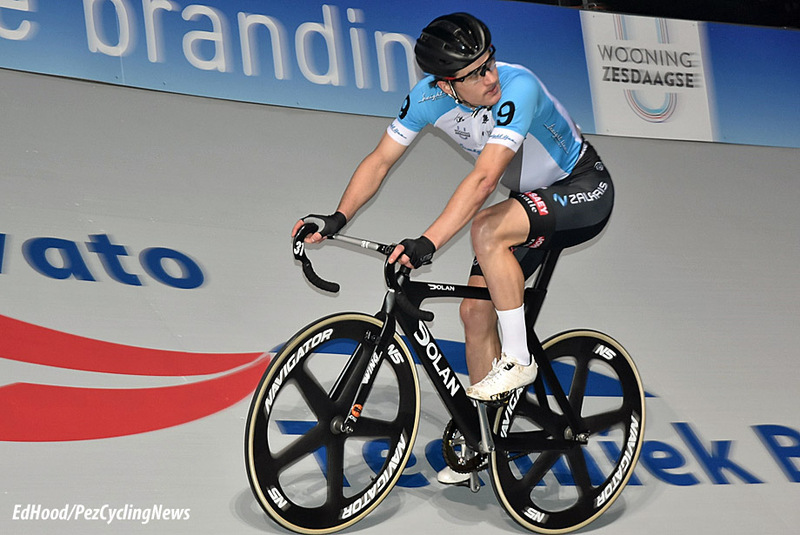 But some, with sponsorship issues in play, have to go down the ‘stealth’ route, as here in Iljo Keisse’s case. 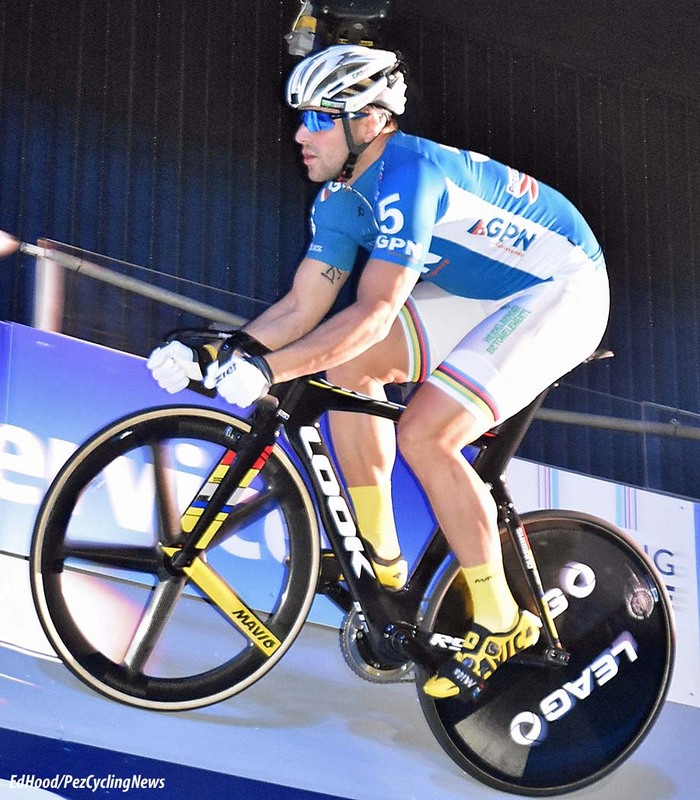 Iljo went over to Dolan’s after seeing equipment fanatic Michael Mørkøv mounted upon one at the Copenhagen Six Day a few years back. 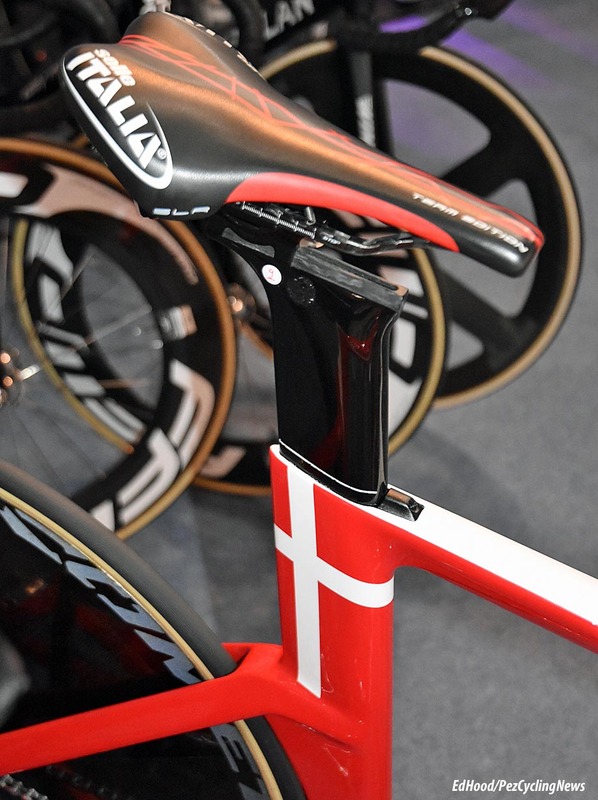 Word is that the next generation Dolan’s will feature integrated seat masts. Cervelos are still a very popular platform too but many are ‘badge engineered’ away from their original marque. 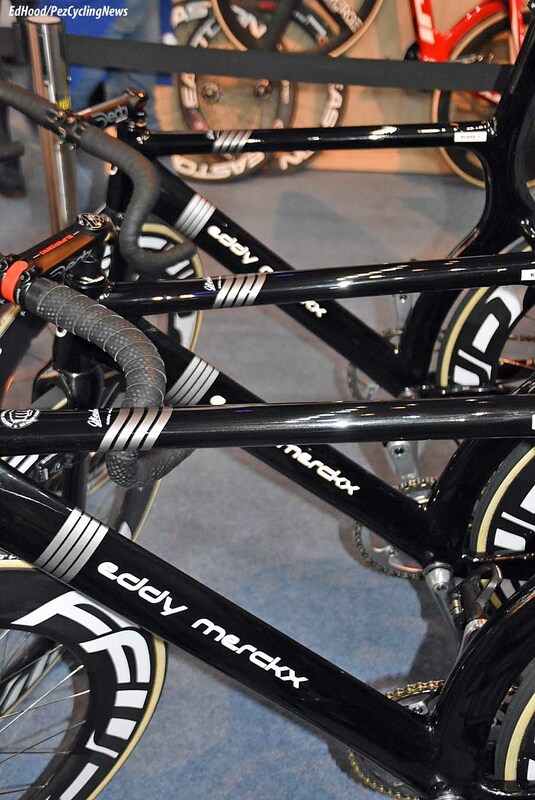 And on that subject, Eddy Merckx track frames are really Ridley ‘Arenas’ now that Ridley has taken on board one of the most famous brand names in cycling. 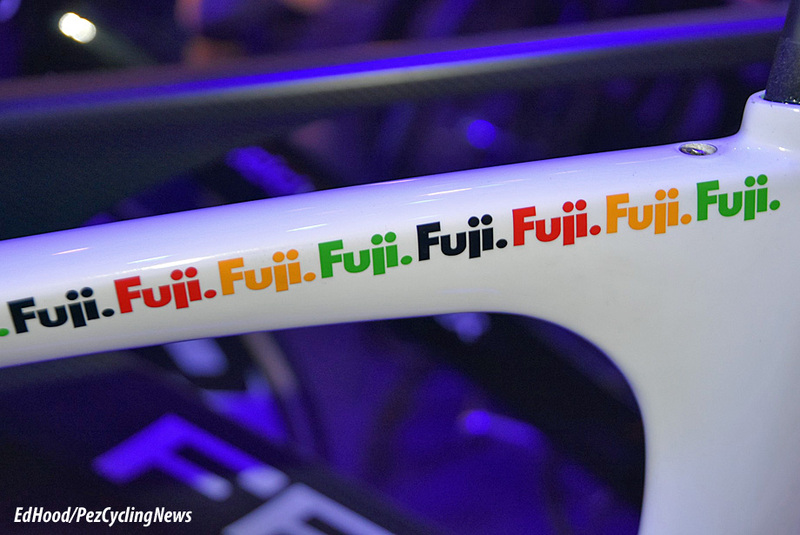 And whilst some seek to disguise their origins, Christian Grasmann’s Fuji goes in the other direction. 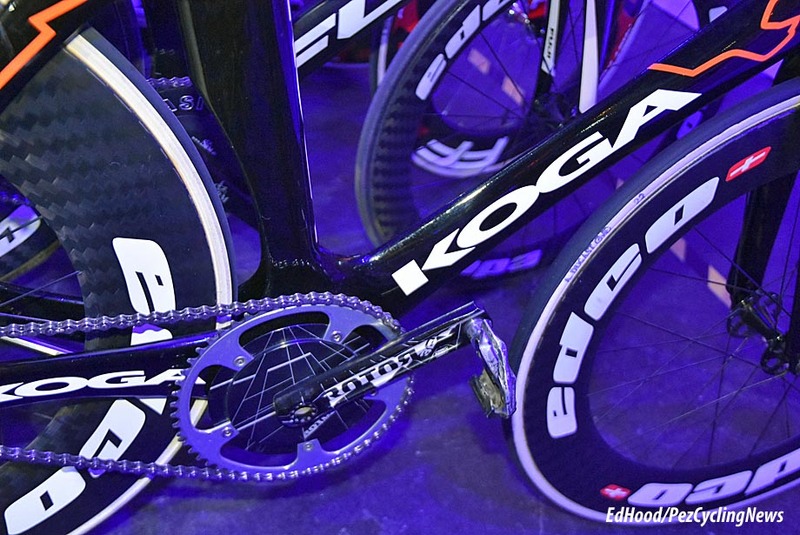 For the big sprinters the weapon of choice is the Look, complete with one piece carbon chainset. 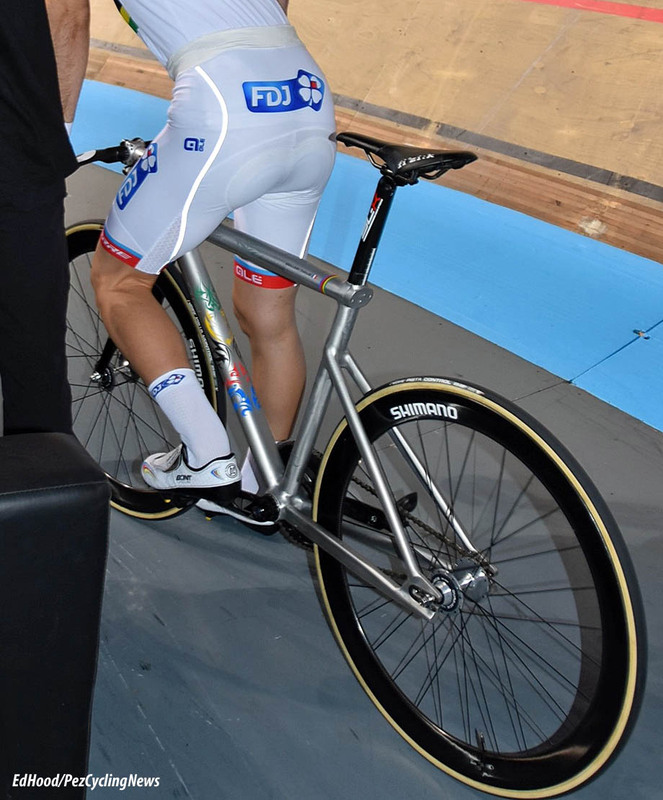 The French frames predominate for the fast men and women at any World Cup, European or World Championship. 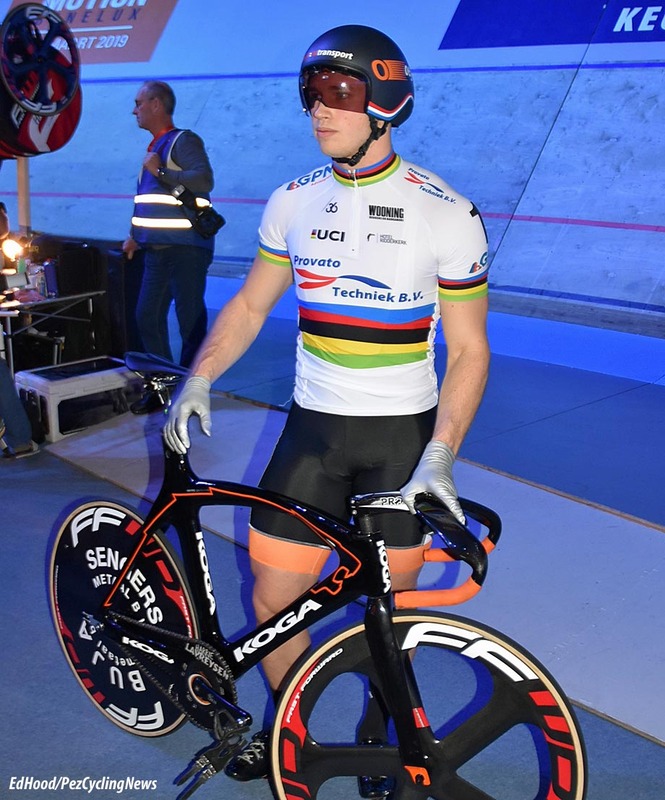 But the Dutch team sprint big unit boys stay faithful to their home branded Koga Miyatas – maybe beginning to look a little dated though? 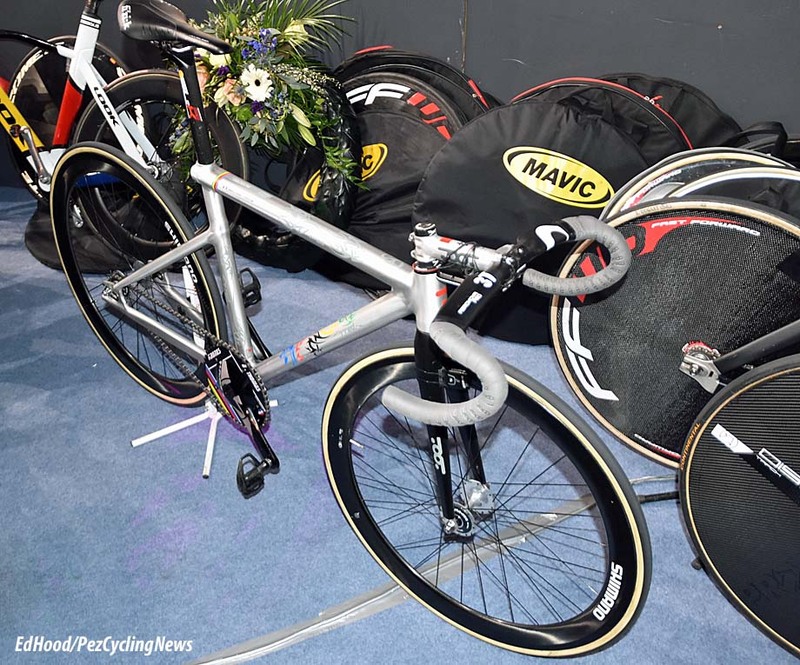 On the subject of ‘dated’, Jimmy Madsen brought one of the identical white Principias used by Michael Mørkøv and Alex Rasmussen to win the world Madison title in 2009 in Pruszkow to ride in the ‘golden oldies’ race – it still looks sharp. 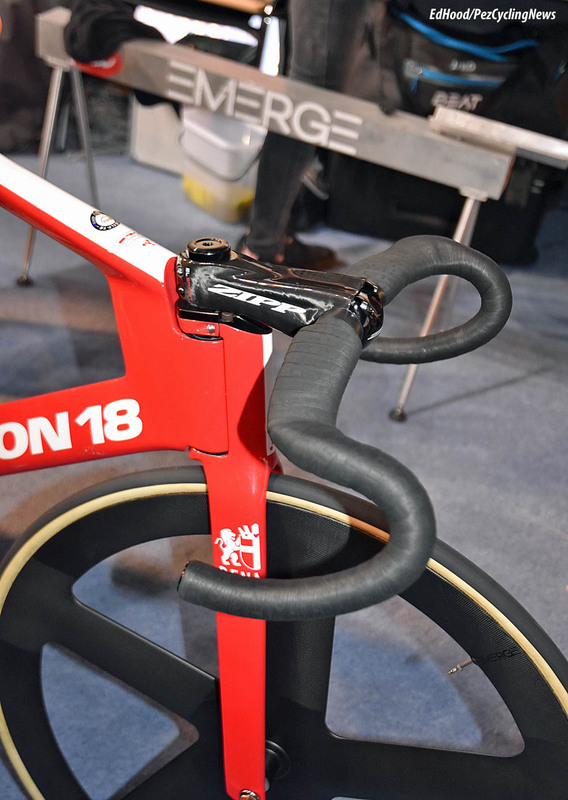 Cervelos came out of Canada and so too does Argon 18, possibly the fastest track frame out there – Denmark and Dan Bigham’s maverick HUUB boys have both retired their Cervelos in favour Argons. 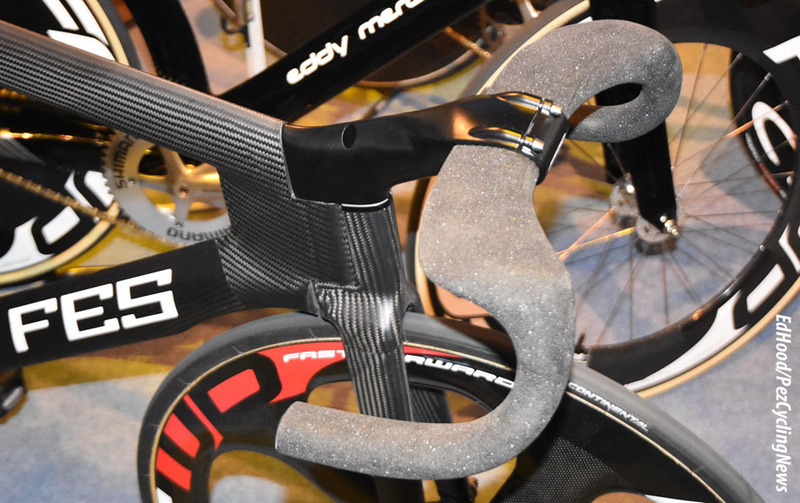 An ‘external’ steerer as pioneered by Look with the extension tucked low into the head/top tube junction make them look very purposeful at the front and their rear stay design makes them much more flexible in terms of variety of disc wheels which can be ridden. 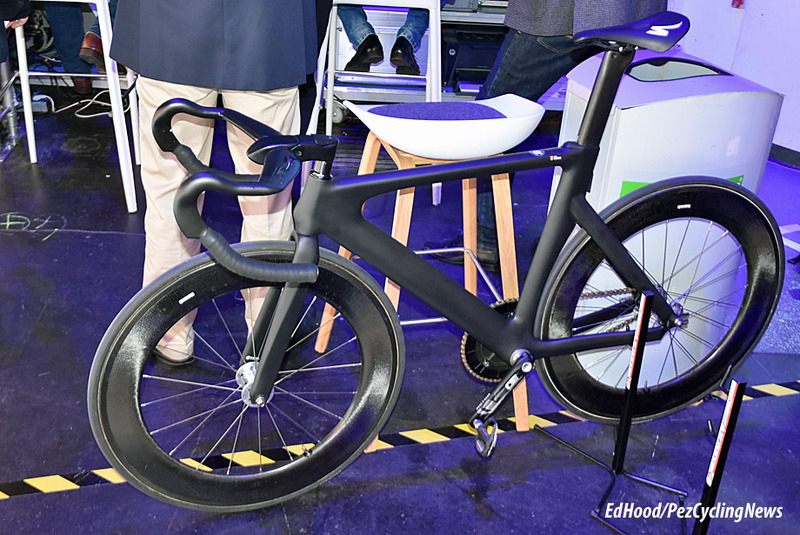 Theo Reinhardt’s German FES has a similar, very aero front end and no need for tape on these ‘non slip’ bars - I wouldn’t want those bars coming against me in a crash though. 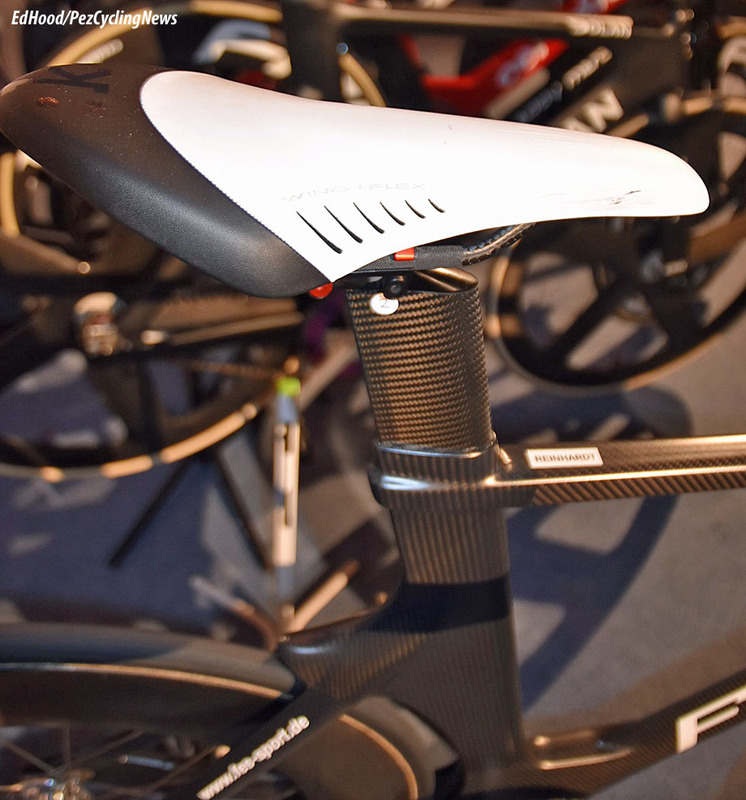 The aero seat post fit is very neat with an allen key retaining bolt well down the seat tube – the seat pillar has to be cut to length as there’s an internal stop to stop it from slipping. If you want to raise your seat height then a spacer has to be inserted inside the tube. 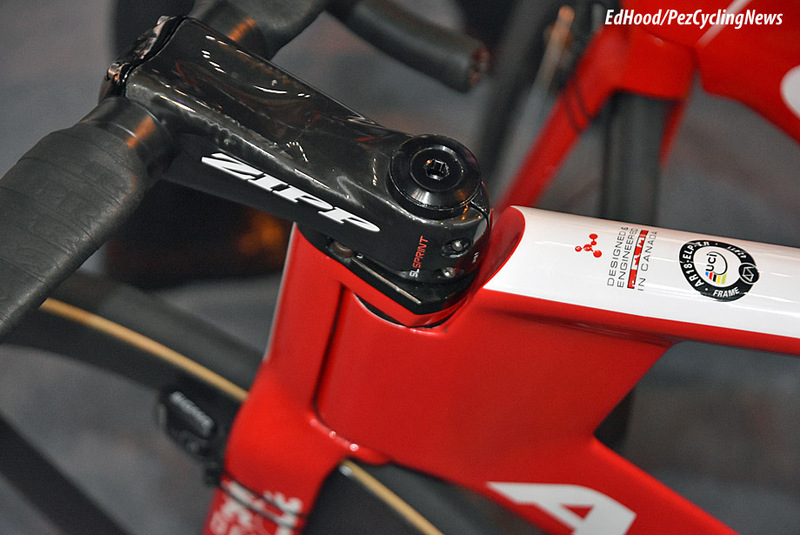 And keeping it hi-tech, many now ride power meter cranks on the track. 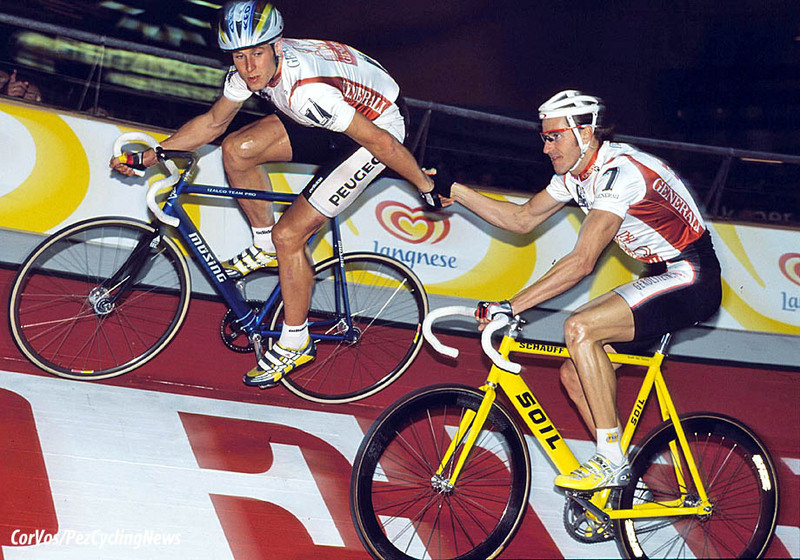 Once upon a time, the only tubulars you would see at a six day were Continentals. 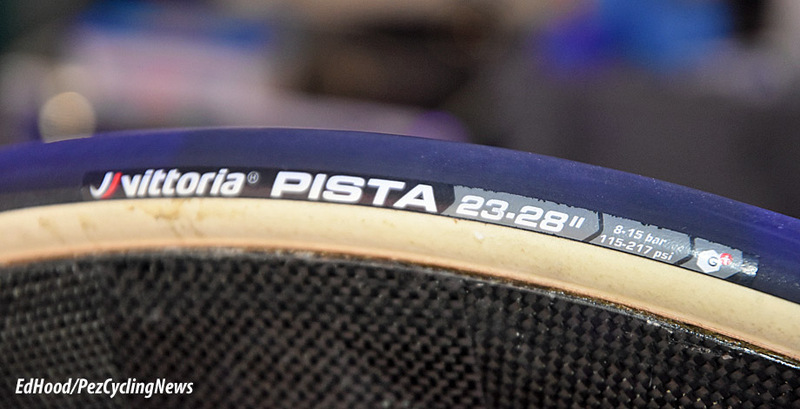 And whilst the German brand still has its devotees Italian Vittorias are now perhaps the most popular on the circuit. Schwalbes were making headway for a time but have slipped in popularity, albeit there are one or two about. 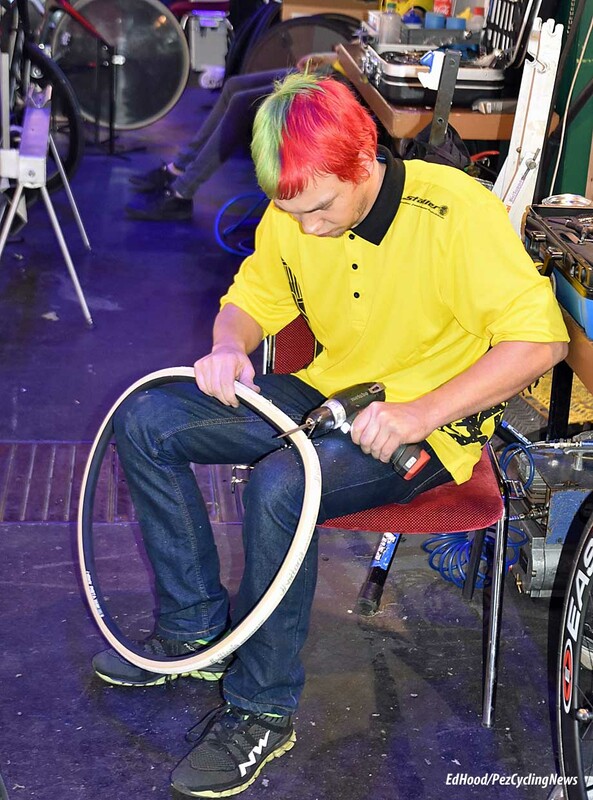 But some things never change; take the ‘shine’ off the cotton base tape with a ‘file’ bit to your cordless drill then two coats of adhesive on the tubular and three on the rim – remember to get it straight and true first time though. 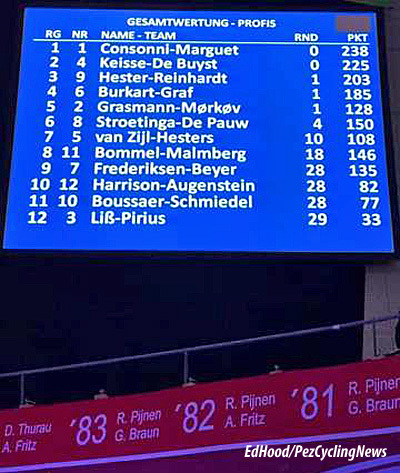 Mørkøv/Grasmann won the final chase and coming into the finale tomorrow night the standings looks like this. Interesting – but Iljo/Jasper to win. . .
Maybe I miss Bruno, Franco at his best, Big Bob Bartko, Slippens, Stam, Schep, Gilmore, Villa and the rest too much? And further back to my youth, Post, Gilmore, Clark, Allan, De Wilde, Duyndam, Karstens and Sercu - but they ain't never coming back. On the subject of "The Flemish Arrow", I heard today he's in a care home and very weak. So sad. We saw him in a nocturne at Concarneau in 1974, in his Tour green jersey, Brooklyn shorts and matching black and white patent leather shoes and crash hat, his legs the colour of teak - no one had to tell you that you were in the presence of greatness. "The Good Old Days" but that doesn't alter the fact that we have a house which is anything but full and no 'buzz'. The last night should be nervous, tense, twitchy - it's none of those. It's 'flat' - no sense of occasion. But why should the public leave their homes on a Tuesday night to watch this? 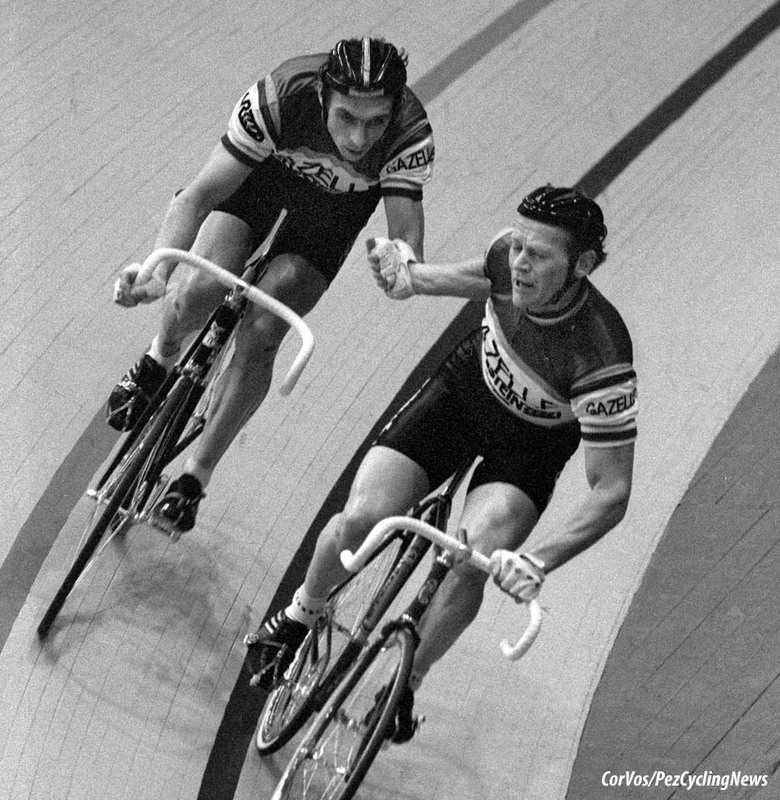 Cav is a 'name' in London, Iljo in Gent; Niki Terpstra in Rotterdam, Rheinhardt here and in Berlin maybe - but better if Big Roger was with him in Berlin - Michael Mørkøv in Copenhagen. Buy you need them all together across all the races, knocking lumps out of each other and that's not going to happen; the road season kicks off in Australia as the year turns. 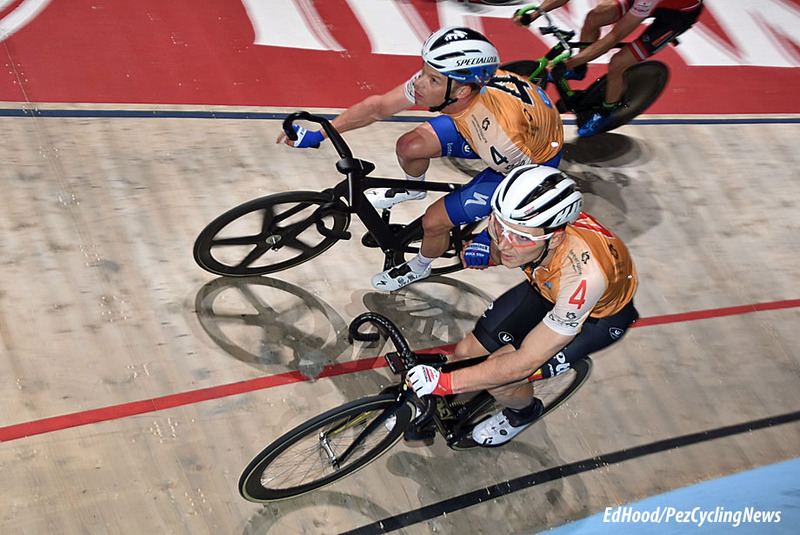 The road season rules all, the track is secondary and with the World Cups competing with the six days for the best track men, that makes it even tougher to put quality fields together. And the road 'names' who in old days in the winter made money in the six days all get paid so much money now that they figure it's not worth their while to ride the six days. 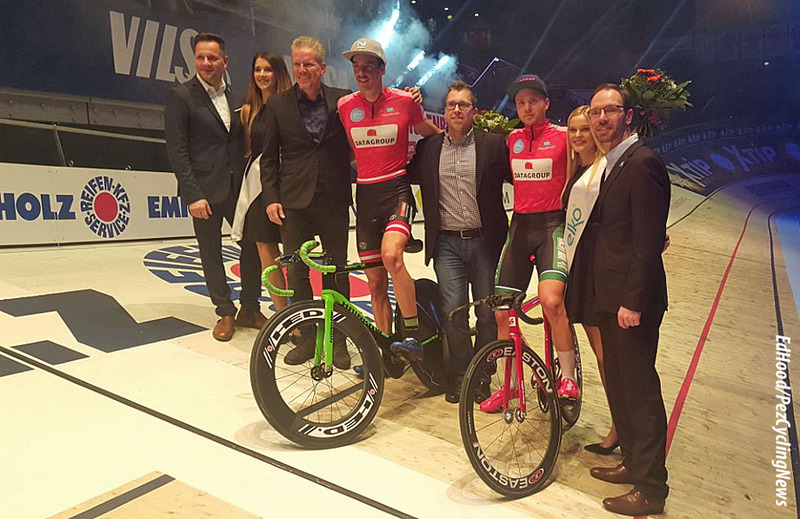 Imagine if you had Peter Sagan in your six day, it would be, 'house full' every night. And there's so much more entertainment available for folks, the internet, social media and availability of dozens of TV channels has changed the face of how people use their time, forever. Rant over as the clock passes midnight and we trundle south on the autobahn. If truth be told, it wasn't the worst final I've ever seen but I have seen better. 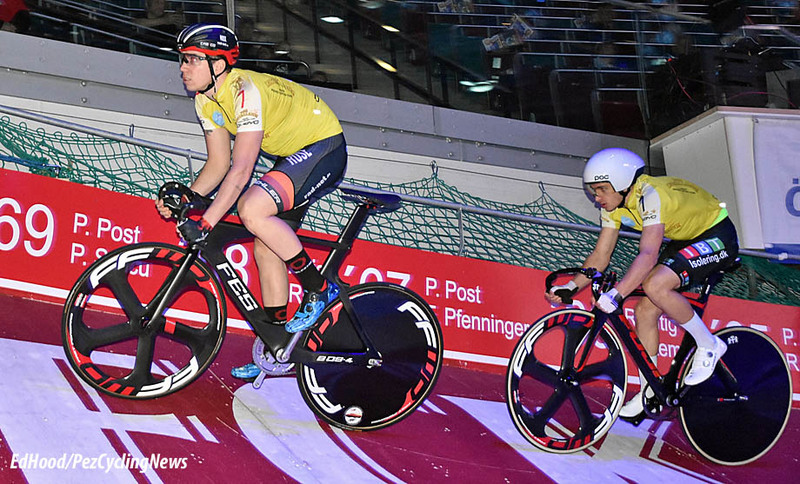 As expected, Iljo and Jasper took the victory with the best points total AND a lap. Few riders seem keen on suspenseful finales these days. Marc Hester and Theo Reinhardt took second; they launched a huge late attack but the speaker didn't seem to realise that even if went level on laps they still had a big points deficit. 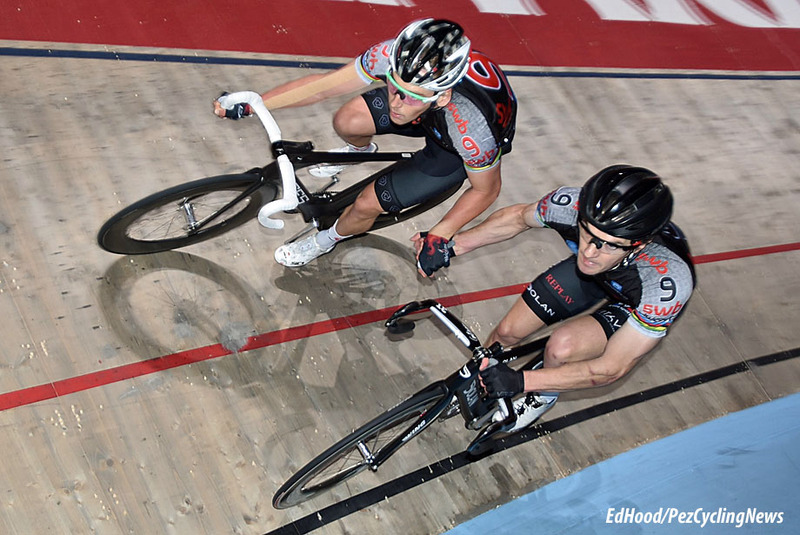 Final spot on the podium went to rapid Italo/Swiss duo Simone Consonni and Tristan Marguet. 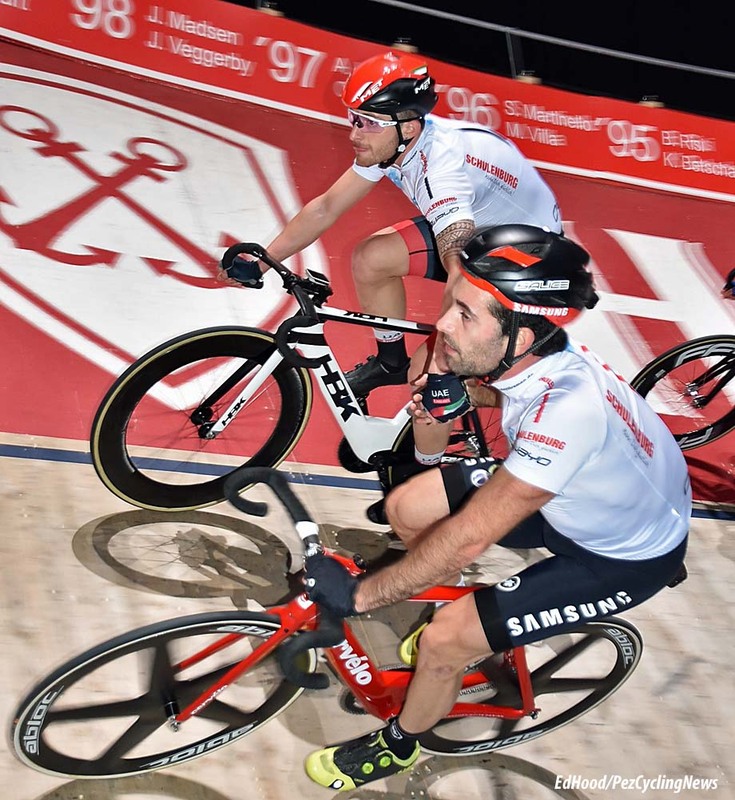 Our boy Achim Burkhart with partner Andreas Graf grabbed a little joy from the evening with a win in the last devil - but was disappointed not to make the podium, finishing fourth. Berlin next with much reduced stayer programme - that won't help the crowd numbers. Then Copenhagen with a reduced quality field because it clashed with the Madison Group's three day in Melbourne - which is now cancelled due to the fact the organisers didn't realise it takes six weeks to obtain a work visa for Australia. What I need is a good, tough finale in Gent to re-ignite my love affair with, 'races to nowhere'. Berlin? Will I be there? Of course. . . It was November 2005 when Ed Hood first penned a piece for PEZ, on US legend Mike Neel. Since then he's covered all of the Grand Tours and Monuments for PEZ and has an article count in excess of 1,700 in the archive. 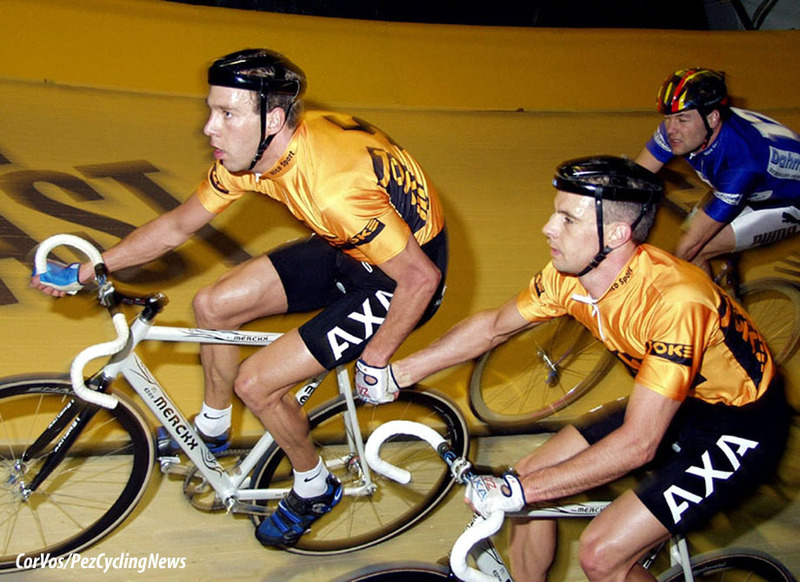 He was a Scottish champion cyclist himself - many years and kilograms ago - and still owns a Klein Attitude, Dura Ace carbon Giant and a Fixie. He and fellow Scot and PEZ contributor Martin Williamson run the Scottish site www.veloveritas.co.uk where more of his musings on our sport can be found.